Items needed: a Crucifix and music player. 2. Consider for a moment that great Saints have told us repeatedly that there is immense value in meditating on the Passion of Jesus Christ. Therefore, ask the Holy Spirit for the grace to make a profitable meditation. 3. 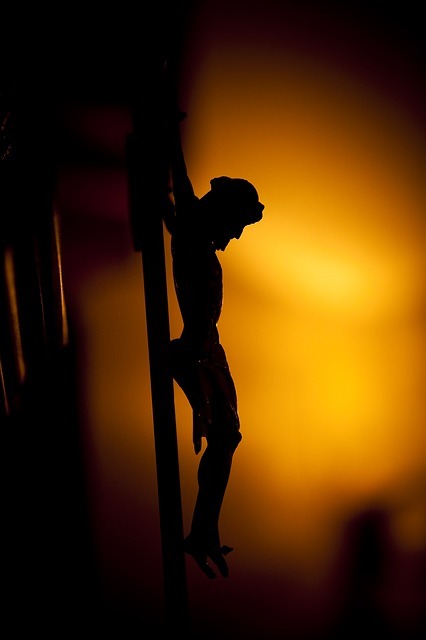 Kneeling or sitting in front of your crucifix (most likely a crucifix on the wall), study the crucifix and meditate for a few minutes on God’s amazing love for you. 4. Now prayerfully read to yourself the Stabat Mater prayer wherein we ask the Blessed Virgin Mary to draw us into the mystery of her son’s Passion and Death (link to prayer below). This is a powerful prayer! 5. Now play a worship song to evoke in your heart a greater love for Jesus crucified. I recommend You Are My King (Amazing Love) by the Newsboys, but whatever Praise and Worship song moves your heart to a deeper love for Jesus is best for you (as you look meditatively on your crucifix). Link to song below. Look at your crucifix as you listen to the song. 6. When the song ends, feel free to play it again if your heart so desires. 7. Following the music portion of the meditation, spend five minutes talking to Jesus in the interior of your heart, expressing your love for him and telling him your needs. Console Jesus in his sufferings, and confess sorrow for your own sins. 8. Arise from kneeling or sitting and approach your crucifix to kiss one of Jesus’ wounds as a final act of love concluding the meditation. 9. OPTIONAL: In classical meditation it is customary to make a resolution to grow in a particular virtue (or correct some fault) based on the content of your prayer and meditation. For example, you might see that you need to be more self-giving like Jesus who gave his all for you. 10. Remember, the most important part of the meditation is your intimate conversation with Jesus.